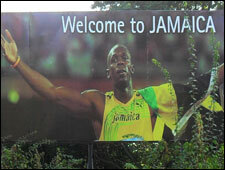 Book Private Transfer to and from Kingston Jamaica airport, Airport Kingston Transport -Jamaica W. I. Find and book transportation to and from Kingston, NMI airport shuttle and passenger movement between hotels in Kingston , Ocho Rios, Montego Bay airport and other popular tourism destination. Please email paradisevacationsja@yahoo.com or 1876-840-5639 to make reservation for your Kingston airport transportation services throughout Jamaica, transportation to and from Kingston Hotel/Resorts by luxury sedans, mini vans and coaster buses. Book transfers to and from airport,airport transportation to Montego Bay MBJ airport, Montego Bay resorts,resorts in Negril,Negril hotels and Beach villas, Ocho Rios hotels and Kingston airport. 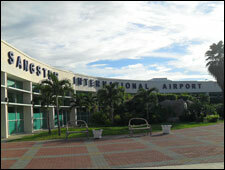 Airport transportation throughout the entire Island of Montego Bay, Jamaica. Find private MBJ transfers and MBJ airport transit information for guest and tourist traveling to Montego Bay, Negril, Ocho Rios and other popular tourism destinations.